Here's a recipe for fans of pumpkin spice flavour. 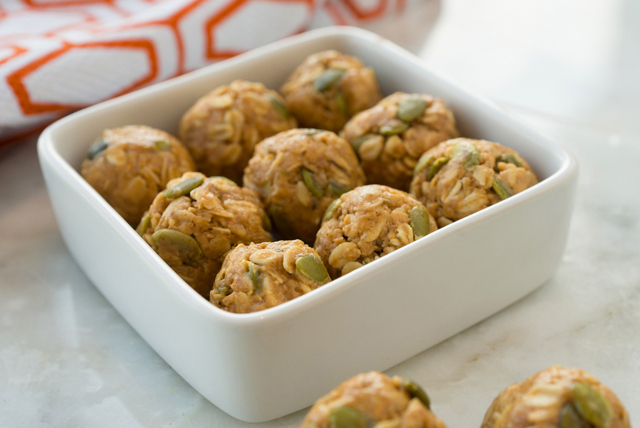 Try our easy-to-make Pumpkin-Spice Peanut Butter Snack Bites recipe. Graham wafer crumbs, pumpkin seeds and pumpkin pie spice add lots of flavour to these bites. These easy-to-make Pumpkin-Spice Peanut Butter Snack Bites can be refrigerated up to 1 week before serving.